New Delhi, May 16 (IANS) A large chunk of US firms ride on the back of the services provided by Indian companies, Information Technology Secretary Aruna Sundararajan said on Tuesday adding that only 17 per cent of the total 85,000 visas issued every year by the US go to Indian companies. “I’m sure that as and when the US government does the meeting for review of the H1-B visa regime, they will take into account what has been the value added by the Indian companies — the fact that only 17 per cent of the total 85,000 visas go to Indian companies, and that a very large number of US companies actually ride on the back of the services provided by the Indian companies,” said Sundararajan at the inaugural session here of Broadband India Forum. 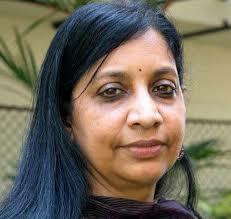 Sundararajan said that with new technologies emerging, people are moving from one vertical to another. “Some of the companies which have been named have clarified that there is nothing different this year from earlier years. As part of their annual appraisals, they may not be renewing the contracts with some people. But it would be absolutely incorrect to assume that suddenly this year a large number of jobs are being shed,” she told reporters here.